It’s that time of the week again: Time to fill up your Android phone with the latest and greatest new Play Store releases, and we have some great picks to share in our Five to Try column. 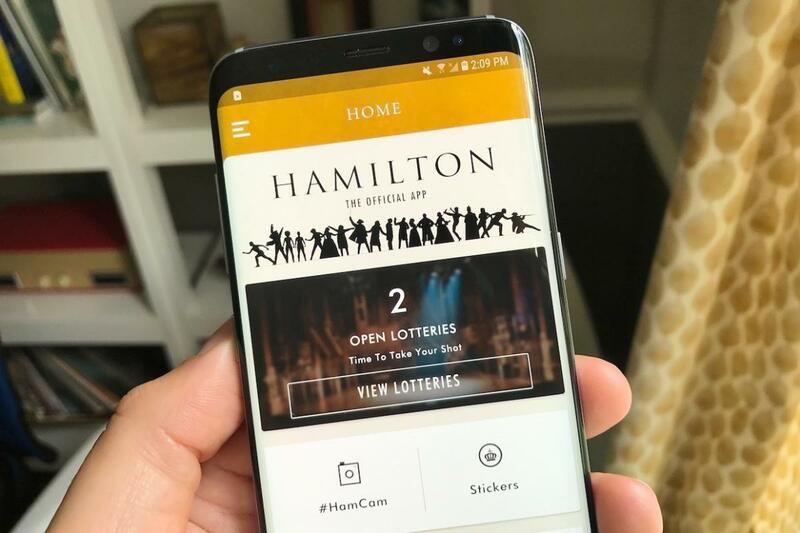 The official Hamilton app serves as both a fun tie-in to the hit Broadway musical and also an ideal way to get yourself into the show at minimal cost, thanks to its daily lottery drawing. Meanwhile, if you’re looking for a new game to sap your attention all weekend, Framed 2 serves up another puzzling adventure based around the concept of rearranging comic book panels. And if you need even more options, MoviePass lets you see loads of movies in theaters each month for cheap, Swim Out is a clever new puzzler, and file-sharing favorite Droplr finally makes its way to Android. Don't throw away your shot… at cheap Hamilton tickets. 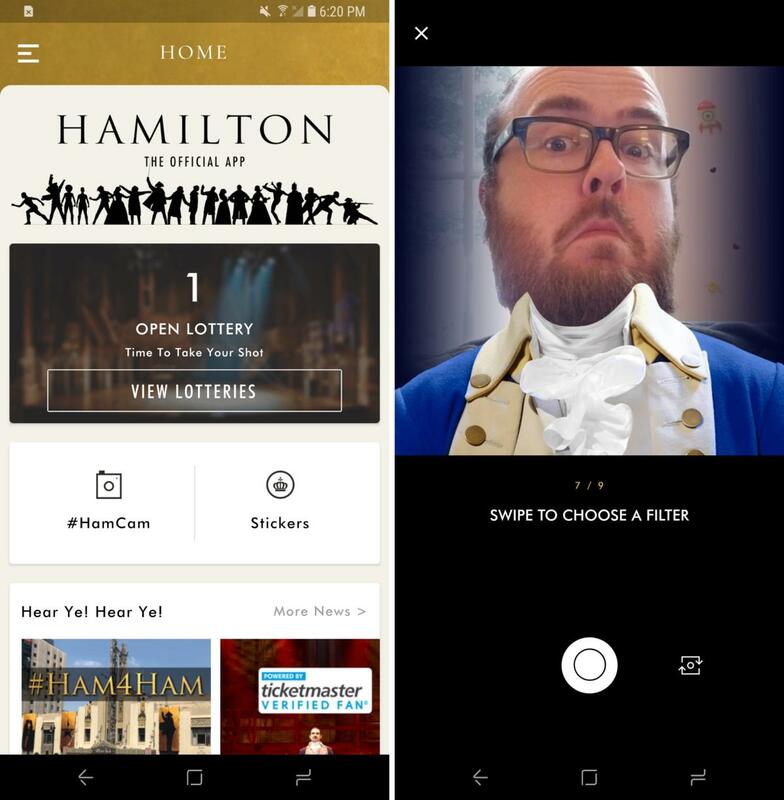 Whether you’re knee-deep in fandom for Hamilton or you aspire to love the Broadway phenomenon (but still haven’t had a chance to see it), then Hamilton – The Official App is for you. Like most official tie-in apps, it has an array of digital bits related to the subject. Here, there’s a #HamCam camera that puts themed overlays on your shots, as well as stickers, news, and access to buy merch and tickets. But the most appealing draw may be the Hamilton lottery. For each show, a limited number of tickets are held back and offered to winners of a random lottery, which lets lucky fans buy a pair for $10 apiece. Right now, you can only use the app to enter the daily lottery for the Los Angeles production, and both New York and Chicago will be added to the app within the next week or so. If you’re near to any of those cities and want to see the show on the cheap, then put this app into your daily rotation. Rearrange key panels to continue the chase. The original Framed was one of our favorite games of 2015, so we’ve been looking forward to the debut of Framed 2 ($5) for a long while now. Here it is, and it’s on sale for just $2 this week to boot. Serving as a prequel to the original game, Framed 2 largely sticks to what worked so well before: It’s a puzzle game disguised as a comic book, with panels that need to be rearranged sequentially to safely move ahead. You’ll drag and drop the panels to help the shadowy hero evade capture or attack, and Framed 2 is even more polished and impressively presented than the original. However, if the trial-and-error approach of Framed drove you nuts, then this follow-up isn’t likely to change your mind. 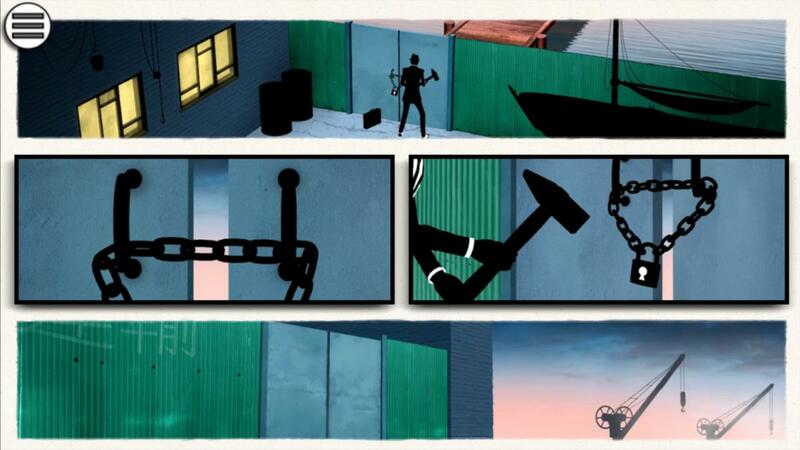 And if somehow you haven’t played the first Framed, well, it’s on sale for only $0.12 right now. You read that right, twelve cents! Just $10/month can get you a lot of theater trips. 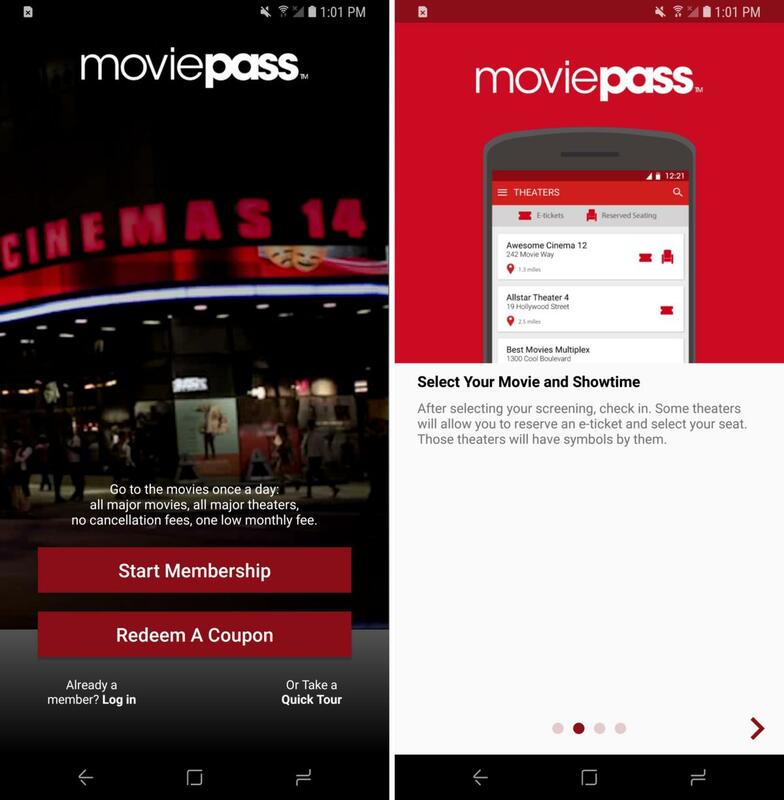 Maybe you’ve heard of MoviePass: it’s the subscription service that lets you pay a single monthly fee for the ability to see one film per day at participating movie theaters. However, at the original $50/month price, there were seemingly few takers. But in a dramatic move to build a user base, the company slashed the price to $10/month this week. And since the website has frequently been down since then, we’re guessing there’s some interest. The Android app is a key part of the experience, as you’ll use it to find nearby theaters and select a movie. There are limitations—only 2D flicks, you can’t select future dates, and you have to “buy” the tickets in person with your MoviePass card—but otherwise, you really can pick a flick to go see each and every day. It’s an incredible deal for anyone who goes to the movies often, but since at least one big theater chain is already upset about the price drop, you should probably act fast. It's like Lara Croft Go, but with swimmers. Really! Navigating a busy swimming pool might not seem like the most exhilarating game concept, but it actually proves quite clever in Swim Out ($2.59). You’ll start at one point in the pool and need to find your way to the ladder to exit, but in your path are other swimmers, lounging ladies, and little brats eager to make a big splash. And it’s your imperative to get out of there without causing a scene. Amusingly, this turn-based puzzler feels a lot like Lara Croft Go and Hitman Go—it’s all about navigating the terrain safely, although the vibe here is super chill. Along with noticing and exploiting other swimmers’ patterns, you’ll need to use the occasional beach ball to stun someone, or watch out for waves that ripple out from a kid’s cannonball. Droplr offers fuss-free image and file sharing. 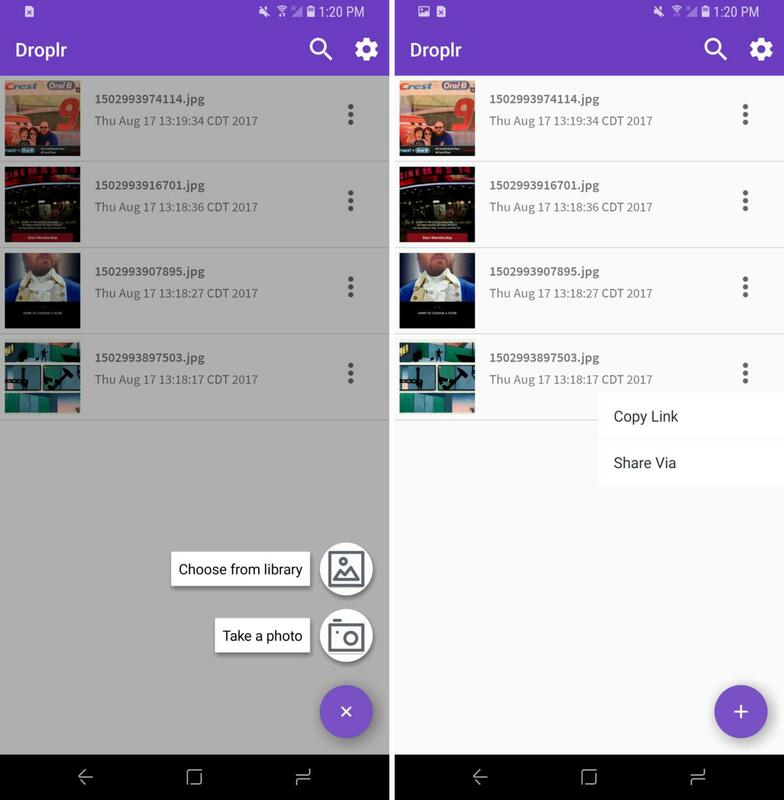 Droplr has been a handy resource for several years now, but while there are desktop plugins and an iOS client, there hasn’t been an official Android app… until now, that is. Essentially, Droplr is a dead-simple cloud sharing service that lets you quickly upload a file and get a sharable link with no fuss. You can log in with your Google account or even Slack, drop in photos, screenshots, and other files, and then post the links to chat, Twitter, or wherever. Like the service itself, the Android app is streamlined and effective for speedy drops. The free service comes with some limitations, such as just 10 drops per month and bandwidth caps, but there are pro and business plans available for anyone who comes to rely on Droplr.